After the birth of my first child, I found myself, like a lot of women to be a fair way above what is normally considered a healthy weight. I had always been a bigger girl, but tipping the scales at 116 kg was just out of control. The inevitable self esteem issues set in, and it was that point I followed the generally accepted course of action, by renewing my gym membership and joining Weight Watchers. I saw some early results, but it wasn't long before I again was at a plateau. I took the plunge and sought out a personal trainer to steer me in the right direction. I was fortunate to come across Matt. The fact that I am now 83kg, shows how right that direction was. I have lost over 30kg, and it something I am certainly proud of. What you should know, is that it wasn't done in a 6 month flurry of living on slimmer shakes and diet pills, but has taken 5 years and I have had a second child in that time. I wouldn't have been able to do it without Matt's guidance, mentoring, friendship and above all expert knowledge. It is this knowledge I am most grateful for, I know how to get a workout anywhere, anytime. I now am able to push myself to limits I previously thought unthinkable, and I have the knowledge and body awareness to not injure myself doing so. There are plenty of fitness trainers out there ready to take your money. Why should you choose Matt? Matt is unique. Matt is the genuine article. Matt has a genuine passion for it, and is ready to travel the world to stay at the cutting edge, and is never afraid to share what he learns. This is not to say that he will try every fad that the fitness industry dreams up, he has always known what is going to work for me, and is able to explain why. 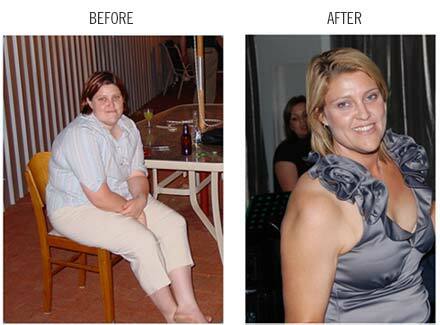 My lifestyle change has positively affected my family with my husband choosing to train with Matt also. My children have also benefited by reaping the rewards of a healthier upbringing. I am now happier, fitter, stronger and more flexible as a mother of two children than I ever was as a teenager. I now have the confidence to take on whatever life throws at me. If you are considering using a Personal Trainer to maximise your fitness goals, I would have no hesitation in saying Matthew Beecroft is your man. I have just completed a ten week programme with him, and I can’t speak highly enough about Matt’s professionalism and knowledge in working with me to achieve my goals. My Partner and I originally started personal training sessions to try and loose some weight for our upcoming wedding. We’d tried to do it ourselves together numerous times before in the past but usually after around two weeks we’d both give up, mainly because we’d get discouraged at not seeing any results straight away. Five months before our wedding we decided that we really needed to find a different approach, that we needed someone to help us get the most out of each workout and particularly for me a solid reason to get up early in the morning!! Training with Matt was one of the best decisions we’ve ever made, unlike some other trainers we’ve seen in the gym Matt makes sure that you’re doing each exercise correctly and knows a lot about how to avoid potential injury. I was particularly impressed with the way he could tailor a program that was exactly what my partner needed in the gym, and was something that I could not provide – somehow the nagging fiancé is not quite as motivating as a 6ft something martial arts instructor telling you to get a move on! – while at the same time providing me with a more feminine program that looked more at burning overall body fat and toning. We’ve both lost a considerable amount of weight since deciding to make a change in our lives. We’re not quite there yet but we’ve been able to take everything we’ve learnt about how to do the exercises properly and how vital role nutrition plays and make it part of our every day routine. 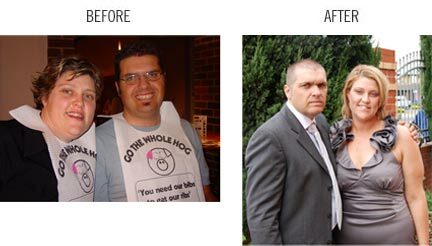 We started this journey with the wedding in mind, but since then its become more about making a lifestyle change and our personal training sessions with Matt helped us get serious about taking that step and following it through. I am impressed by your knowledge in relation to exercise technique, muscle growth and nutrition. The fact that you tailored parts of my program to specifically help build up injured/atrophied muscles was excellent. I really liked the way we always did things safely; i never felt as though i would injure myself or do things using an incorrect technique. Exercise was always followed up by the right stretching exercises, which has really helped my flexibility. Matt was a vital factor in the rehabilitation of my knee after a serious netball injury. By using his extensive and very well-grounded knowledge, he incorporated my whole body in the re-hab process so that my knee was well supported. His training sessions were the toughest I've experienced, with Matt always having an understanding of my limits, and then pushing me past them each session! I was back out running sooner than usual, thanks to Matt's intelligently constructed program. Having watched Matt for a long time training others in my gym, I knew I was making a good choice when I asked him to train me. I was not disappointed. Matt was really interested in my progress, took great care to explain and to provide handouts, pushed me to my full potential and gave his very best at all times. Matt clearly knows his subject and has done lots of extra in-depth research. His passion is infectious. A superior training experience from a master! Commitments) Matt has stuck with me and has at all times tried to accommodate unforeseen interruptions. I am coming into my third series with Matt and will most certainly stick with him.